ᐅ Best First Aid Kits || Reviews → Compare NOW! There are things in life that we can’t be absolutely accurate or be able to control like accidents. 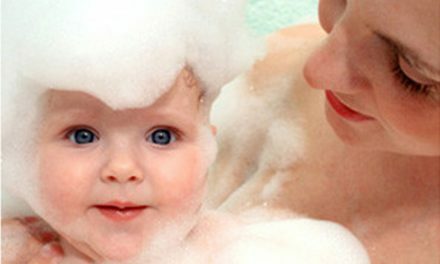 All of us know that we should be careful all the time, but there are other factors that can cause accidents. Thus, it is important that we are prepared for these emergency situations that need medical attention. Below is the list of top 10 best first aid kits that you can use. Some of them are specially designed for outdoor activities, while some kits can be used in almost every emergency situation that can happen in at your home or in your workplace. 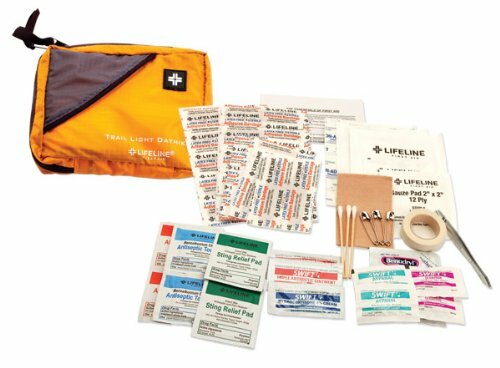 Your hiking and camping gear will be complete if you have Lifeline Trail Light Dayhiker first aid kit. This is perfect for mountaineers because it is small and lightweight. It contains essential items that can temporarily patch wounds on up to three people for one day. The kit contains tweezers, safety pins, cotton tipped applicators, 1 pair of vinyl gloves, ointments for burns and wounds, and medicines like an antihistamine, ibuprofen, and acetaminophen. All emergency medical technicians will surely like the Ever Ready First Aid Fully Stocked First Responder Kit. It is ideal for people who respond to accident scenes and it can be used for victims who need immediate medical attention. 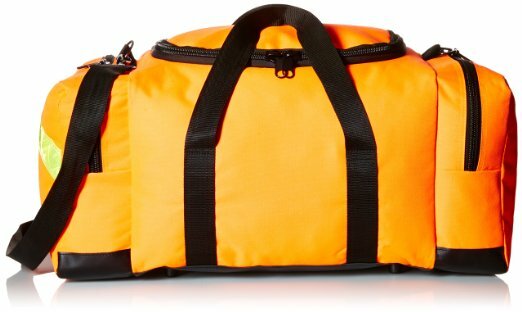 The kit comes in a uniquely designed first responder bag with a rubberized bottom panel, Velcro handle closures, three rows of elastic loops sewn into the lid, and reflective strips for added visibility. It includes stethoscope, aneroid sphygmomanometer, CPR pocket mask, bandage scissors, diagnostic penlight, straight forceps, CPR face shield, wire splint, tourniquet, and much more. For different types of medical emergencies, you can use Medique 40061 first aid kit. The essential items are pads, bandages, ointments, gloves, instant cold pack, finger splints, scissors, cotton tips, and butterfly closures. These are placed in a portable clamshell first aid kit bag made up of sturdy polypropylene designed with convenient carry handle, and locking brackets that keep contents in the box. 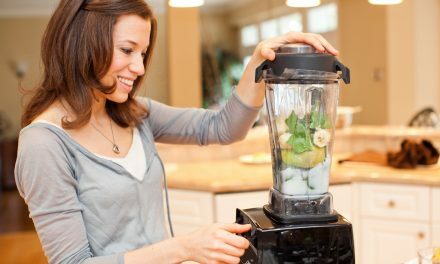 Thus, it is easy to keep in the car, under the kitchen sink, or in your workshop. 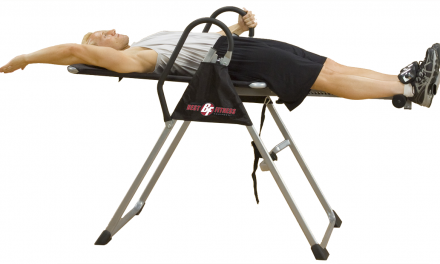 This kit is useful for sports teams and work situations. It contains 61 pieces of essential items like gauze pad, medicines, ointments, scissors, finger splints, and others. 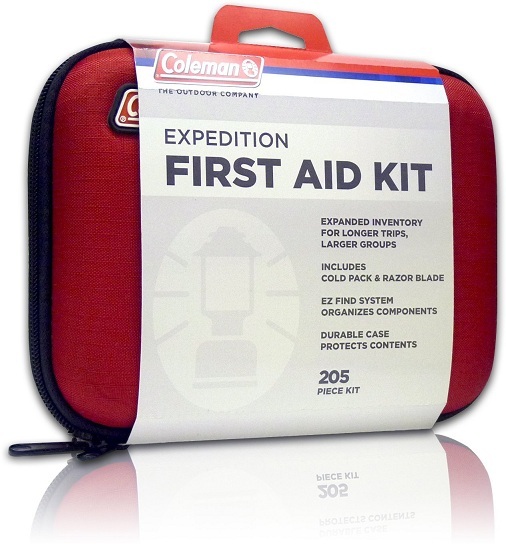 Large groups or long treks need to have the ultimate first kit, which is the Coleman Expedition first aid kit. It is usually the most often needed in the field because it contains 205 pieces of first aid tools. All of the items are placed in a durable, semi-hard case. Plus, it has a unique EZ Find System that keeps the items organized and it allows room for customization so you can be sure that you have everything that you will need in an emergency situation. 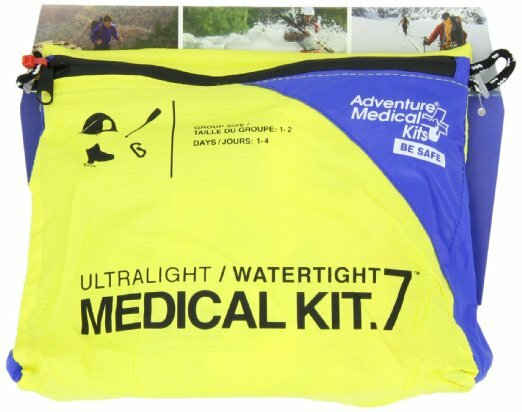 Multisport athletes need to have Adventure Medical Kits UltraLight & Watertight .7 Kit. 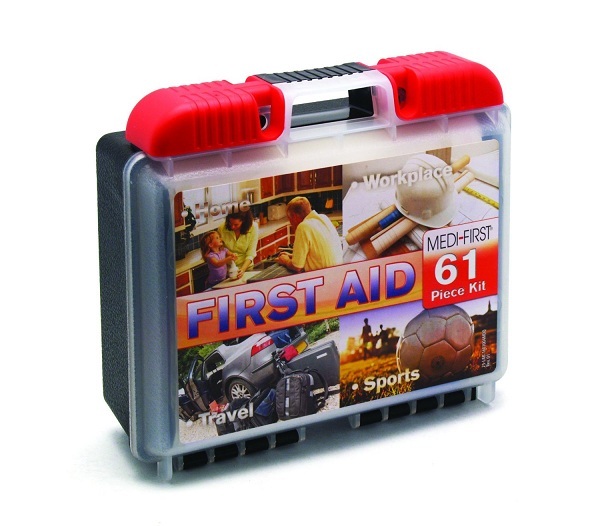 This first aid kit is designed for athletes of different sports. It is an ultralight kit so you won’t be weighed down. Plus, the items are enough supplies for two people up to four days. The items were placed in a proprietary DryFlex bags for the ultimate in ultralight, waterproof storage. Inside the bag, the liner and seam-sealed outer nylon provide multiple layers of protection to your first aid kit. The items included are medicine, ointment, gloves, bandage, gauze, tape, forceps, and splinter picker. Having a first aid kit at home or in the workplace is a must. 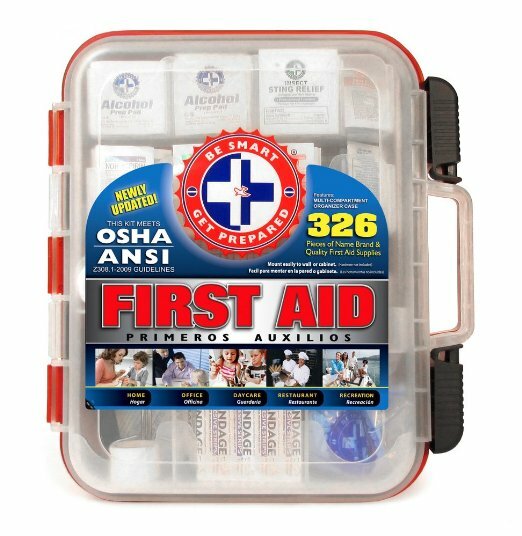 The Be Smart Get Prepared First Aid Kit is ideal because it meets the OSHA and ANSI guidelines for 100 people. The kit contains 326 pieces of comprehensive first aid treatment products including medicine, ointments, gauze pads, bandages, adhesive tape, finger splints, tweezers, metal scissors, and gloves. The items are stored in hard carrying case with more storage space inside and a multi-compartment organizer. It can be carried around for portability or be mounted on a wall in a central location. If you need a large first aid kit that contains a very nice set of contents that can be used in responding to accident scenes or large rescue operations, then you should have Elite First Aid Fully Stocked GI Issue Medic Kit Bag. It contains 320 items that include ointments, medicines, pads, gauze, together with items such as a scalpel, stethoscope, stainless steel hemostats, penlight, suture sets, ice pack, hand sanitizer, hand soap, and much more. All of these items are easy to carry because the bag can be carried using the handle or using the backpack straps. Accidents can happen anytime, especially if you are engaged in outdoor activities like hiking, camping, and other sports events. 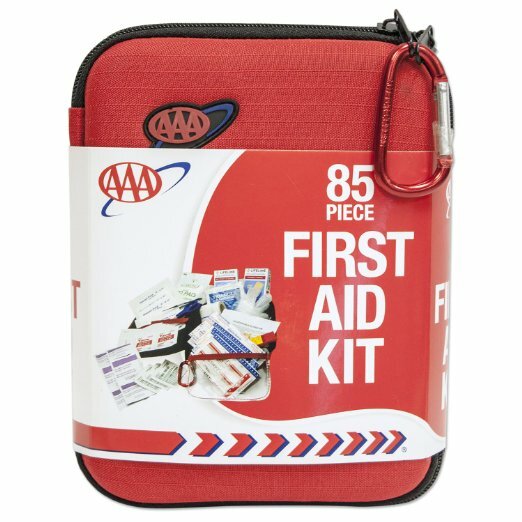 With AAA 85 Piece Commuter First Aid Kit, you’ll be prepared for emergency situations that might need medical attention. This kit contains a variety of medical supplies that can patch a wide range of minor injuries. It is easy to carry because it is lightweight and has a carabineer that can be used to clip it on a belt or a backpack. Never be caught off guard with emergency situations with Protect Life First Aid Kit. This kit is designed for emergency safety service. It contains pads, bandages, tape, whistle, compass, raincoat, scissors and metal tweezers, face mask, and cold compress. The items are stored in a durable bag, which is crafted with high-quality 600D canvas and has clear compartments for easy access. 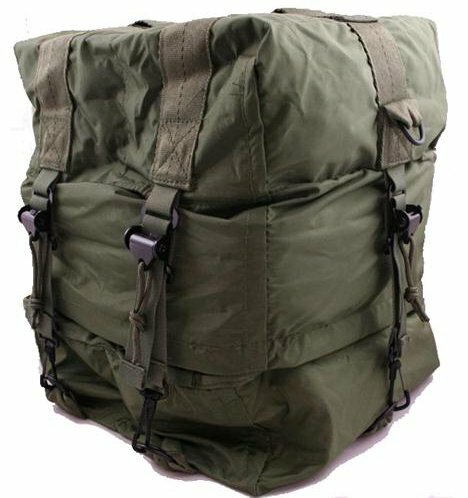 It is lightweight and easy to carry so you can take it anywhere you go. You can use it in your house, at your office, or you can bring it during your vacation trip. 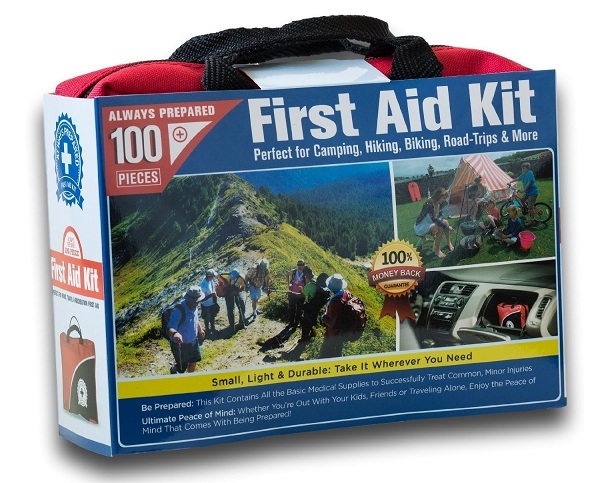 Be prepared for minor emergencies that need medical attention during your outdoor activities, travels, or inside your house with Small First Aid Kit 100 Piece. 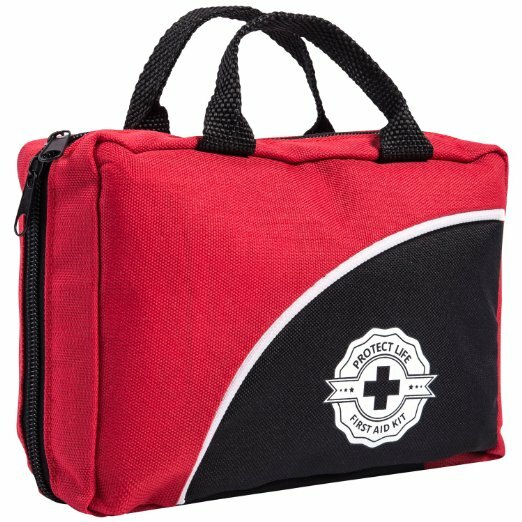 It is an ideal first aid kit because it has a complete set of emergency essentials that you need, it comes in a durable soft bag that doesn’t break apart, and it is small and lightweight so you can carry it wherever you go. The kit contains 100 pieces of unique and upgraded items, such as metal scissors, tweezers, compass, bandage, emergency blanket, gauze pads, whistle, and sewing kits. 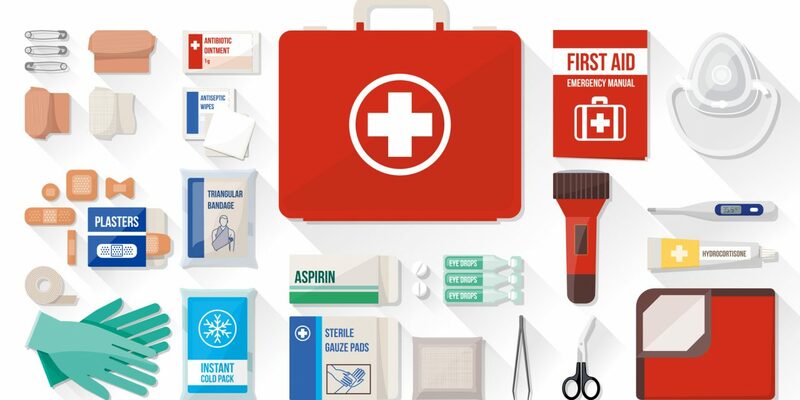 1052 visitors rated Top 10 Best First Aid Kits of 2019 average 4.67 stars out of 5.